Just to be super clear, I’m not going to say much about Crooked Kingdom. I went into it without reading the synopsis, without reading any reviews, and spent a full week taking my time with it. Doing it that way left me with no expectations or thoughts but my own, and I’m going to call it right now and say that Crooked Kingdom is going to be the best book I’ll read in 2016. There will be no spoilers here, but I’m going to lay down some of my feels, cause I had lots of them. First of all, I spent a good portion of CK laughing. So much subtle humor that the laugh just creeps up on you. Really, it was just hilarious. Third, Crooked Kingdom seamlessly incorporated background on all the Crows. One minute you’re in the current storyline, and the next your in the past in a way that didn't detract from the moment. The character building in Six of Crows and Crooked Kingdom was superb. Honestly, I felt like I knew them all so well that they are now friends of mine. Fourth, I think everything I’ve said here really could be summed up on one word: FEELINGS! Between the laughing, the crying, the fist pumping, the dawning realizations, and the brilliance, you’re going to be through it all. There is one chapter where two characters are just talking to each other, but because we know them so well at that point the tension is as tight as wire. I had to put it down a couple times just to take a deep breath. Honestly, the most enjoyable and thoughtful read I’ve had all year. Full of action, mind games, intimately knowing the characters, and just Kaz freaking Brekker. Serious page turner that I recommend to everyone who likes reading. 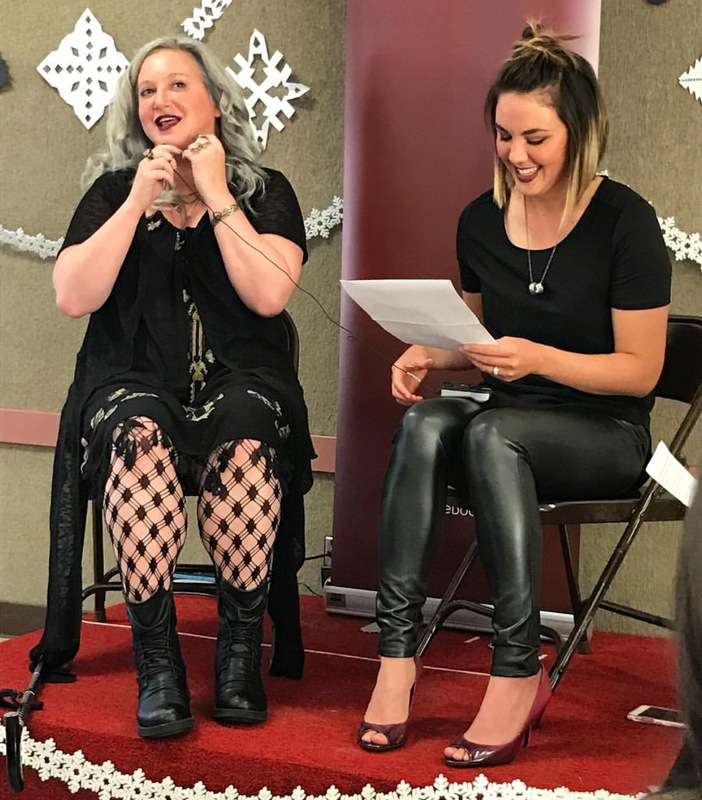 I had the amazing pleasure to moderate Leigh's Crooked Kingdom book signing when she was here in the area. 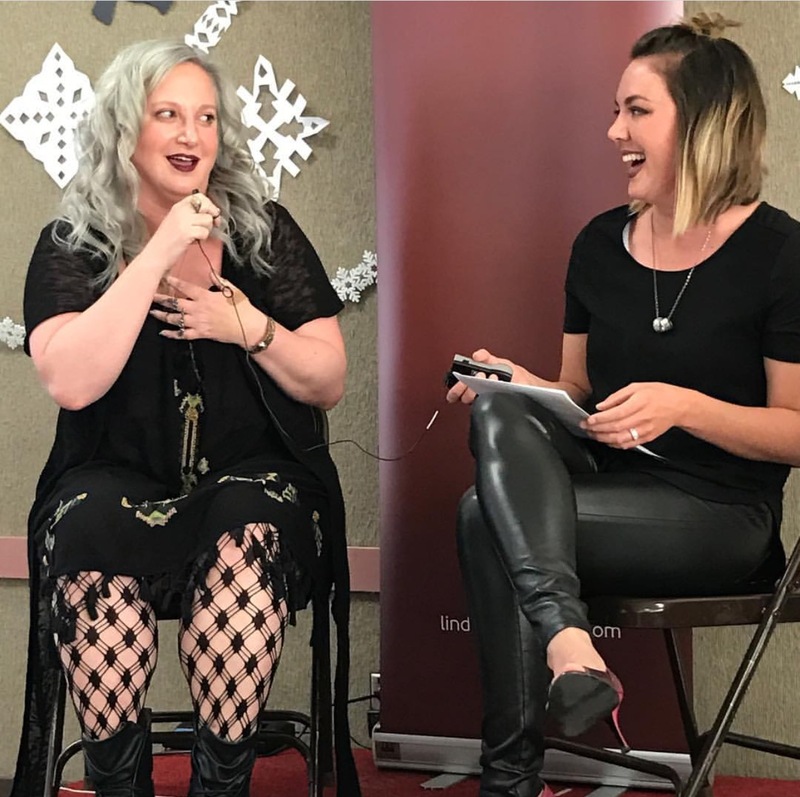 (Together with my dear friend, Alix, from LitJoyCrate) Leigh is such a delight to talk to. She's hilarious and wise and amazingly kind. If you ever have a chance to see her in person, even if you haven't read her books yet, you must! 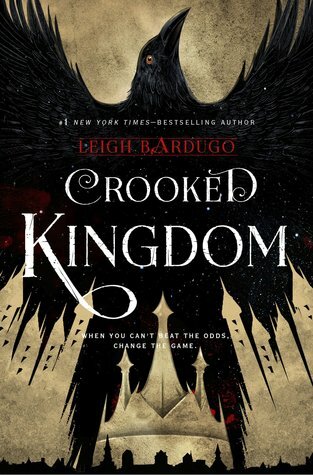 Leigh Bardugo doesn’t pull any punches in this one, and while there were a few story threads that I think could very well carry over into another spin-off series, I think Crooked Kingdom successfully finishes off this storyline. I hope we’ll get to revisit these characters again in the future.